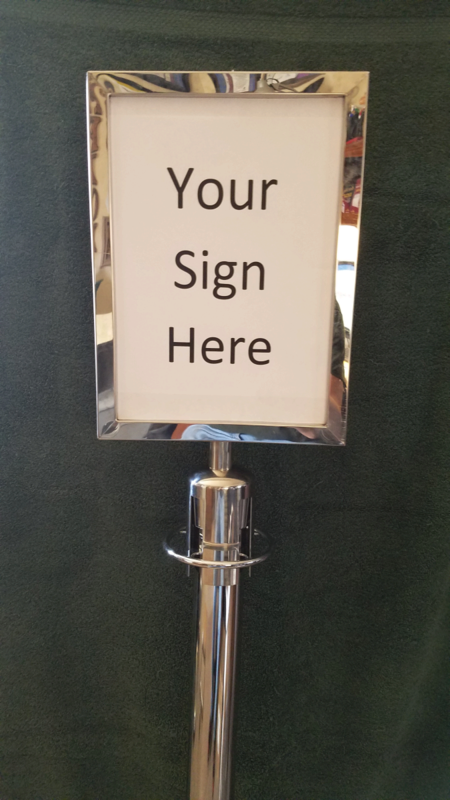 You are responsible for obtaining your own sign to put into the holder. Visible Inner Dimensions: 11" Tall, 8" Wide. 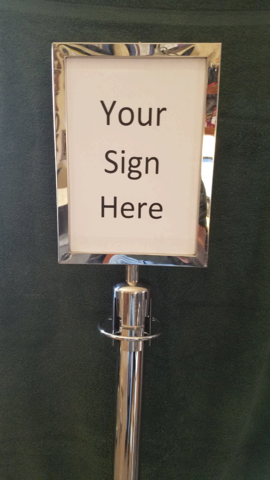 Two Sided Stanchion Sign Holder.